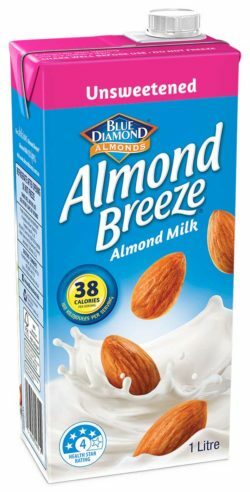 The Original Almond Breeze is a deliciously creamy alternative to dairy and soy milk. It is lactose free, a source of calcium, and contains no cholesterol. 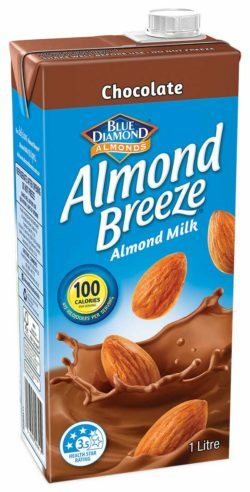 INGREDIENTS: FILTERED WATER, RAW SUGAR, GROUND WHOLE ALMONDS (2%), CALCIUM CARBONATE (GROUND LIMESTONE), SALT, STABILISER (CARRAGEENAN), EMULSIFIER (SUNFLOWER LECITHIN). Chocolate Almond Breeze is one of those rare treats. The creamy texture and chocolatey richness is perfect for satisfying the craving for something sweet. With just 100 calories per glass, it’s also vegan, calcium enriched and lactose free. 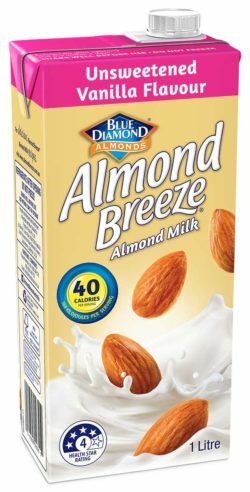 Unsweetened Almond Breeze provides a touch of the almond’s natural sweet taste, but eliminates the added sugar. This versatile variety is perfect to use in cooking, baking, smoothies or enjoyed on its own! 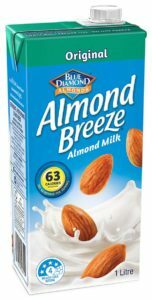 Unsweetened Vanilla Almond Breeze provides a touch of the almond’s natural sweet taste, but eliminates the added sugar—with a touch of natural vanilla, this is a wonderful accompaniment to your favourite foods, smoothies, warm beverages or even enjoyed on its own.